This symposium is endowed by the generous financial support of the following organisations. 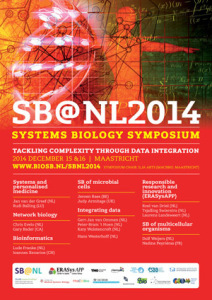 Twitter: the SB@NL2014 symposium can be followed via Twitter via the hashtag #sbnl2014. 20141017 Poster mailings to committee members, invited speakers, and PIs (standard letter).